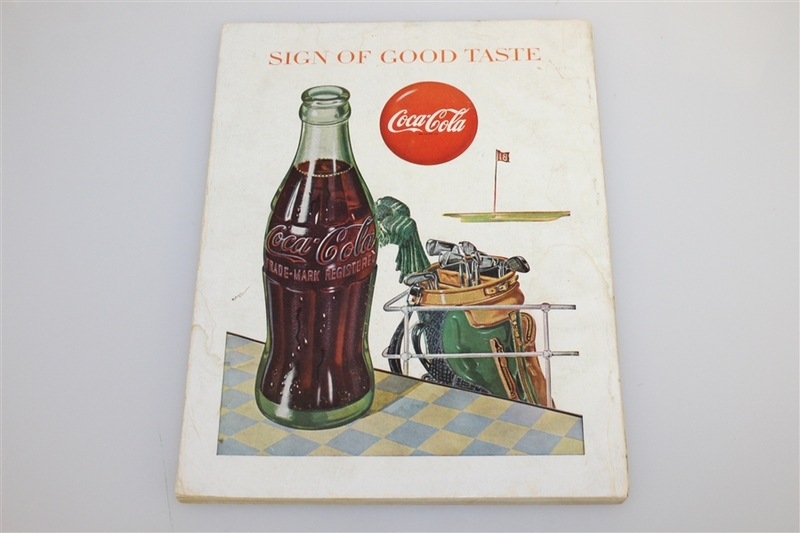 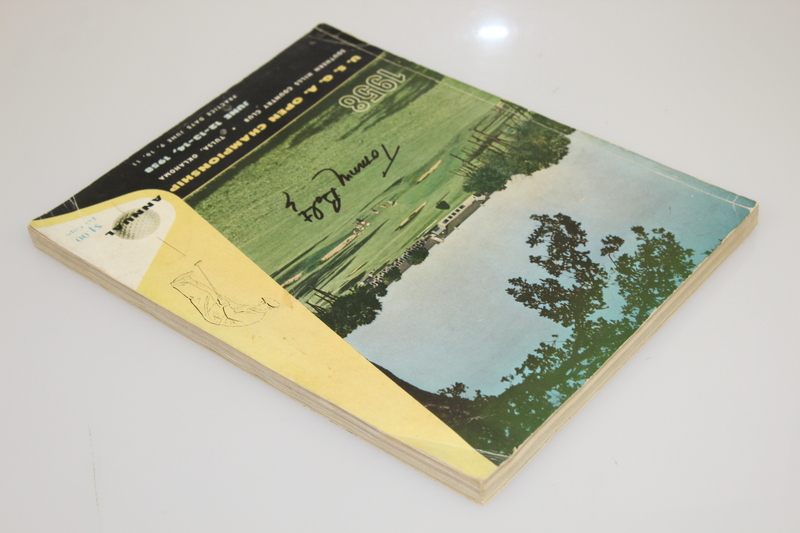 Here we have a Tommy Bolt signed 1958 US Open at Southern Hills Country Club program. 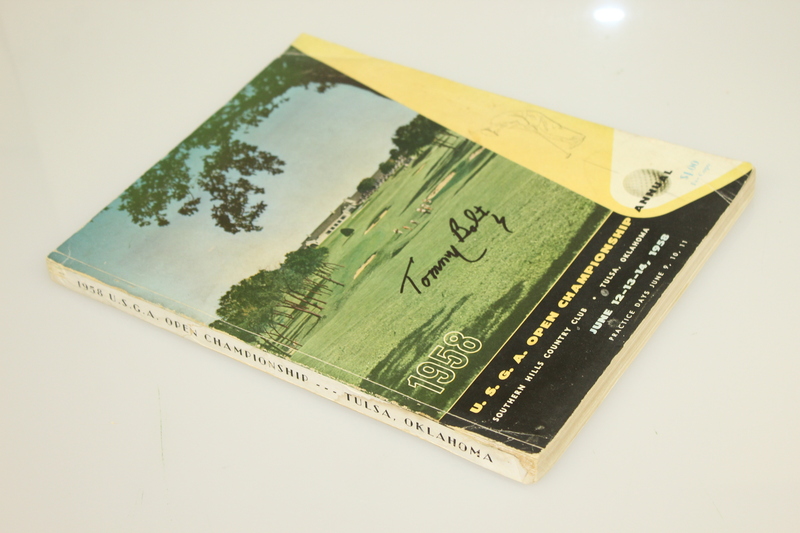 Condition notes for accuracy dogearring to the corners, scuffs and foxing throughout, watermarks throughout, and some paperloss at the spine. 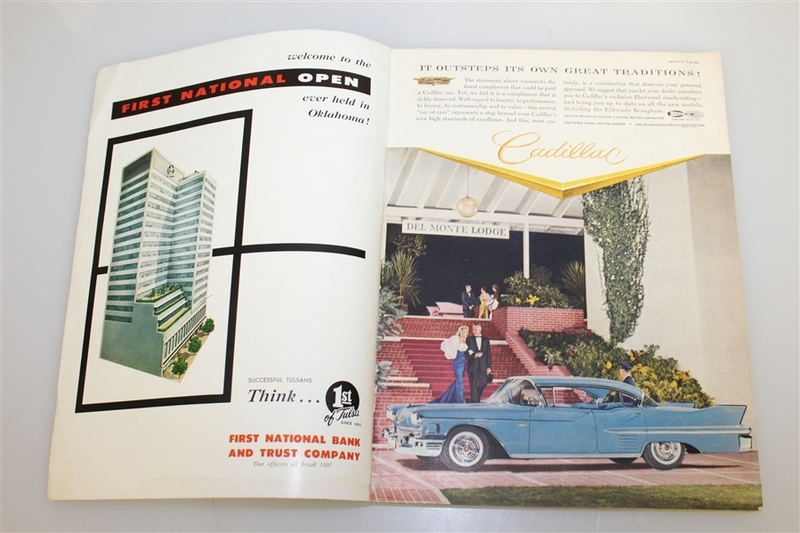 Please see photographs. 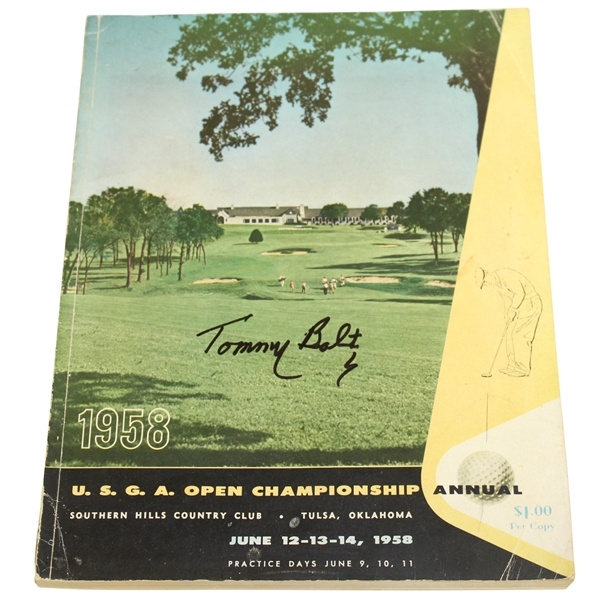 Tommy Bolt, an Oklahoma native, beat Gary Player by four strokes at Southern Hills Country Club in Tulsa, Oklahoma at the 1958 US Open to claim his lone Major title.